Audra’s Science-Based Fine Art on Permanent Exhibit at Trillium Therapeutics, Inc.
Biotechnology firm, Trillium Therapeutics Inc., has now settled into its beautifully designed new facility and we are excited to announce that Trillium’s new home hosts a permanent collection of Audra’s science-based fine art. 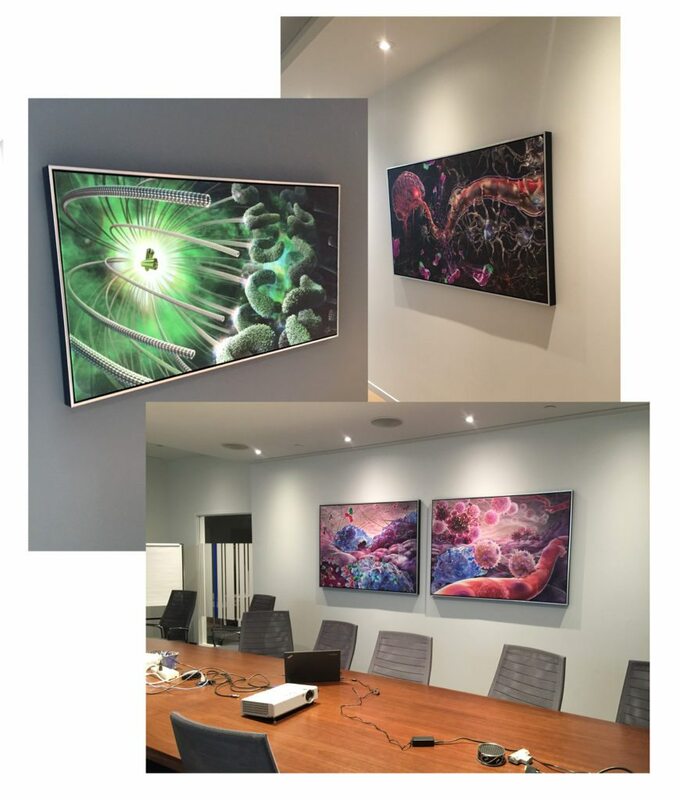 Audra’s large format paintings on canvas were commissioned by Trillium to correspond to the specific areas of research and development that form the focus of Trillium’s work. This is a growing collection as Audra is currently working on several dramatic new paintings for Trillium. Several of Audra’s evocative abstract paintings are included in the collection.